Suzan Tisdale's series seem to run a fairly similar template, but they leave you guessing. It's not a typical romance chase. The Highlands of Scotland, Autumn 1344..... She had won his heart without trying... and he can only pray for the chance to give her his. When Findley McKenna returns after his battle with the English to offer Maggy Boyle a home amongst his clan, he finds only death and destruction instead of the young widow who has stolen his heart. The only things left of her home is the burned out hut and decaying bodies of the auld people Maggy has taken care of for the past three years. With only a prayer, his Highlander heart, and a bit of bloodied plaid to cling to, Findley will crawl through hell if he must, in order to find Maggy and her sons and avenge the massacre before him. She had won his heart without trying, and he can only pray for the chance to give her his. How can she place her trust or her heart in the hands of a man she barely knows and maintain her freedom and keep her secrets hidden? Maggy has secrets, and her own hell to crawl through, before she can give her trust or heart to any man. Fearful that the uncle of her late husband will force her into a marriage with another cold and vindictive man, she goes into hiding to keep her true identity secret and her adopted sons together. After her home is destroyed and her young son kidnapped, those secrets begin to unravel, one agonizing thread at a time. How can she place her trust or her heart in the hands of a man she barely knows and still maintain her freedom and keep her secrets hidden? Findley McKenna is her last vestige of hope at keeping both. He built impenetrable walls around his heart… The Black Death showed no mercy when it took Rowan Graham's beautiful, young wife. With his clan nearly decimated, his heart torn to shreds, he is left to raise his newborn daughter alone. Rowan tries to keep the promises he made to Kate on her deathbed, save for one: He is unable to give his heart to another. Lady Arline is forced into yet another arranged marriage - loveless and lonely. Behind Garrick Blackthorn's good looks lies a cruel, vindictive man. She wants nothing more than her marriage to end so that she might gain the freedom she has longed for. Just before her marriage comes to a bitter and ugly end, her cruel husband kidnaps a sweet, innocent child. Arline does not realize the child belongs to a man from her past, a man who has haunted her dreams for more than seven years, until the night he comes to rescue his daughter. 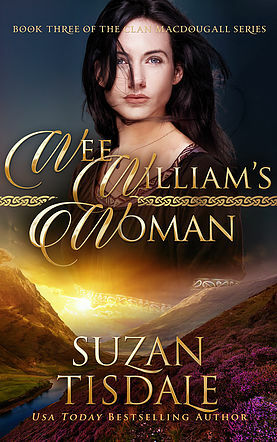 Rowan Graham is surprised to learn that his enemy's wife is a woman he met but for a few short moments seven years earlier when dark times had fallen across Scotland. The same woman who had helped insure the freedom of his foster father and brother has been risking her life to care for his daughter. Aggie McLaren is not Frederick Mackintosh's image of the perfect wife. She isn't well read, vivacious, or voluptuous. 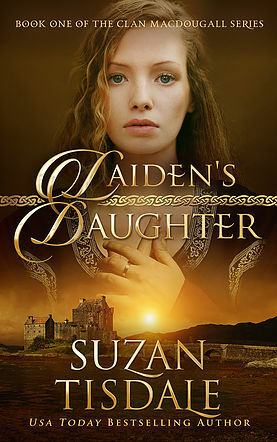 Wee, timid, and unable to speak, it is a glimpse of her smile and the chance to be chief of his own clan that propels him to offer for her hand. Frederick will do whatever he must in order to see her smile again and to help her find her voice. She believes men are not honorable nor are they kind-until she meets one that changes her heart forever. As a fierce highland warrior, Duncan McEwan has survived numerous battles, bed countless women, and survived a horrific storm at sea. He has scaled mountains and even survived hand-to-claw battle with a cat-o'mountain. But none of that could have prepared him for how his life forever changed one fateful spring day when he rescued a lass from a freezing stream. He will do anything to keep her as his own and will risk everything to keep her out of the hands of the English. They call him Wee William. Though he stands nearly seven feet tall, with arms and legs the size of tree trunks and hands as big as buckets, there is nothing wee about him. His scowl alone is enough to make most men's bones rattle with fear. And women, rather than swooning, tend to run in the opposite direction. The giant Highlander is a self-proclaimed bachelor who has sworn for years that there isn't a woman in all of Scotland worth shaving his beard for, and for good reason. Years ago, after a bonny young lass broke his heart and left his dignity in shreds, he swore never again to put it in such peril. As a testament to his sincerity, he vowed never again to shave his beard. Then he met her. In a single heartbeat, Wee William was lost. Forever lost to a brown-haired beauty with gray-blue eyes brimming with tears - a woman in need. On a dark, cold winter's night, when Nora had almost given up hope of ever saving her siblings and herself, God answered her prayers in a most peculiar way. 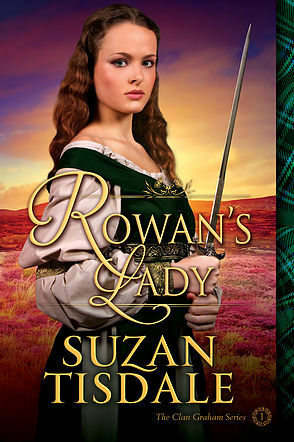 Through a band of fierce Highlanders on a mission to retrieve small but priceless treasures. Treasures she had unwittingly harbored. Little did the Highlanders know they would return with more than those treasures - they would return with Wee William's Woman. Dark times have fallen upon Scotland. King David II is a prisoner of England. Angus McKenna, revered chief of Clan MacDougall, and his son-in-law Duncan McEwan sit in a dungeon in Edinburgh, accused of crimes against their king and country. Their wives are missing. Can devotion, honor and fealty light a candle in the darkness? Invoking the Bond of the Seven Clans, Nial McKee, son-in-law to Angus McKenna sets out to discover the truth behind the charges. While he enlists the help of his good friends Caelen McDunnah and Rowan Graham, his lovely wife Bree appeals to friends of her own for a much different kind of assistance. But time is running out for Angus and Duncan. Friendship and love of family alone might not be enough to save McKenna’s Honor. The complete collection of the Caelen's Wife Series. Part one: A Murmur of Providence - where rumors run wild. Part two: A Whisper of Fate - will anyone know peace again? Part three: A Breath of Promise - finding a breath of promise even in your darkest hour. For more than four decades, signora Francesca Ginori has kept her true identity secret. Living a quiet life with her children and grandchildren, she believes she has put her past behind her. That is, until one peaceful summer afternoon when a stranger arrives at her door with news of the death of an old friend. The stranger knows her secrets and threatens to turn her world to chaos by revealing them, if she refuses to give him what he wants. It is not money he seeks but something far more valuable: the truth about his own past. 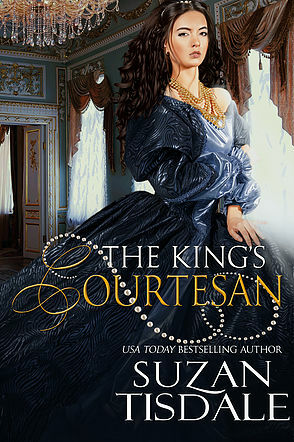 Many, many years before, Fate and desperate circumstances lead a young girl into the life of a courtesan and the arms of a man she could never have--or even name. Just as he could never have her. But their love was pure and formidable. Powerful enough to endure all efforts to destroy it? It is time for Francesca Ginori to tell her story--her own passionate, enthralling truth. Exclusively at Amazon's Kindle Worlds. In ancient Rome - The ring, and its curse, begin with the beautiful Theodosia. Medieval England - The ring finds its way into a notorious outlaw's possession only to curse the woman he loves. The Scottish Highlands - The ring escapes with a little girl... and the curse follows. Tudor England - The ring once again becomes the prize for the lawless when an infamous female pirate tries to steal it from a Queen’s Naval Captain. Georgian Era - Twin sisters vie for the ring - and for the Duke of Axminster. Regency England - The ring enters the proud and proper Regency set where the curse finds new life. Modern Times - Mistaken identity, soul mates, and the last chance for the ring to fulfill its destiny. The heart of a legend. 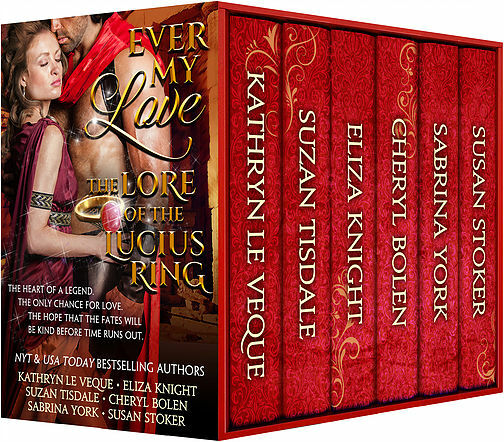 The only hope for love... will each lady find her destiny before time runs out? Thrice widowed Moirra Dundotter needs a husband. With a reputation for losing husbands, the men of Glenkirby are not exactly lining up. Just as she is ready to give up, Moirra happens upon a very handsome man--locked in the village pillory. Desperate to be free of the pillory, the stranger reluctantly agrees to handfast with Moirra, but refuses to tell her his real name -- or much else about his past. He’ll stay only long enough to help her harvest crops in the fall. Two months. And not one day longer. Book One Stealing Moirra's Heart was originally published in November 2014 as part of the Highland Winds Collection. It is now available as a single novel. The story of Moirra’s Heart concludes with Saving Moirra’s Heart. After losing everything they own in a fire, Alysander and Moirra’s plans to begin anew are torn asunder when Moirra is arrested for the murder of her last husband. Moirra is determined to protect her family at all costs. Even if it means hanging for a crime she did not commit. Alysander is just as determined to have her set free, even if he has to bargain with the devil to do it.